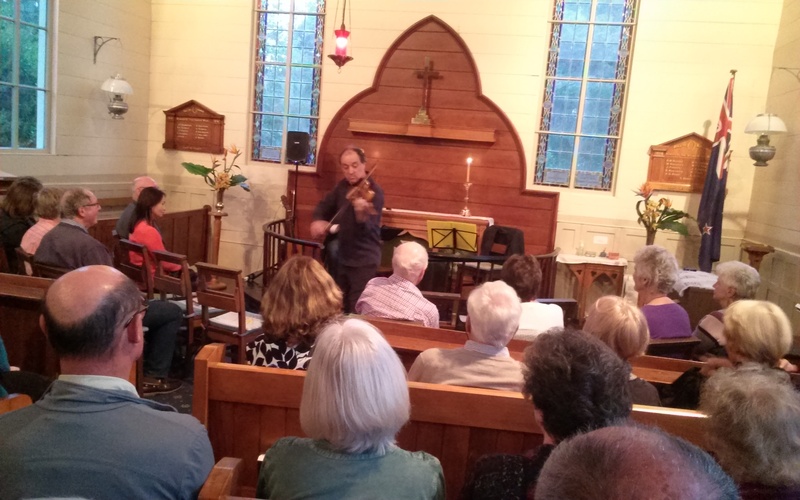 The violin virtuoso Murray van Hoorn gave a superb performance along with story teller Keith Levy at a fund raising concert on 12 Nov at Christ Church. The evening began and concluded with delicious canapes and dessert prepared by Mary Wyatt. This entry was posted on Friday, November 25th, 2016 at 7:58 am	and is filed under Uncategorized. You can follow any responses to this entry through the RSS 2.0 feed. You can leave a response, or trackback from your own site.